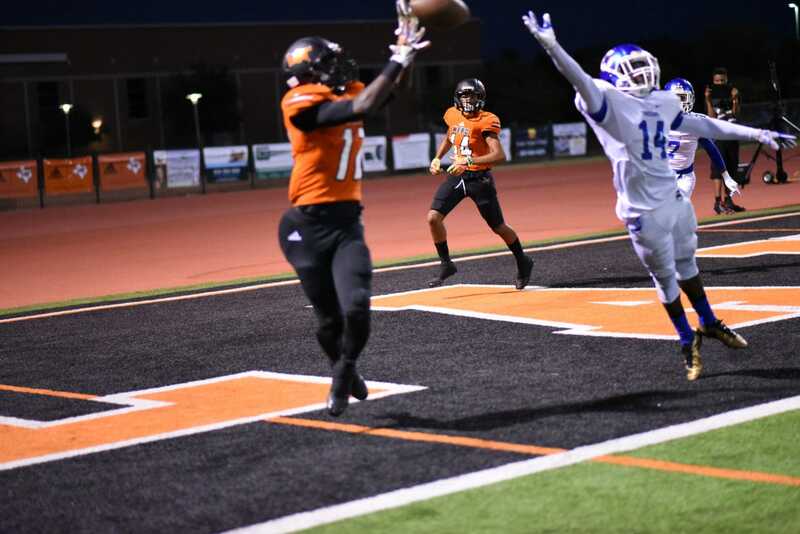 LANCASTER—Despite being wholly outmatched the Corsicana Tigers found pride in falling to one of the best 5A teams by only 3 scores. In what inevitably would be a replay of the 46-17 Corsicana defeat in 2016; the Lancaster Tigers easily beat their East Texas cousins 41-23. Even though the box score shows a lopsided win — the play by play was certainly entertaining for the home field fans. The first half was a battle of the speeders. Z’Antyler Foster-Hooks of Corsicana certainly made his presences felt running for 187 yards, putting Lancaster’s defense through their paces. 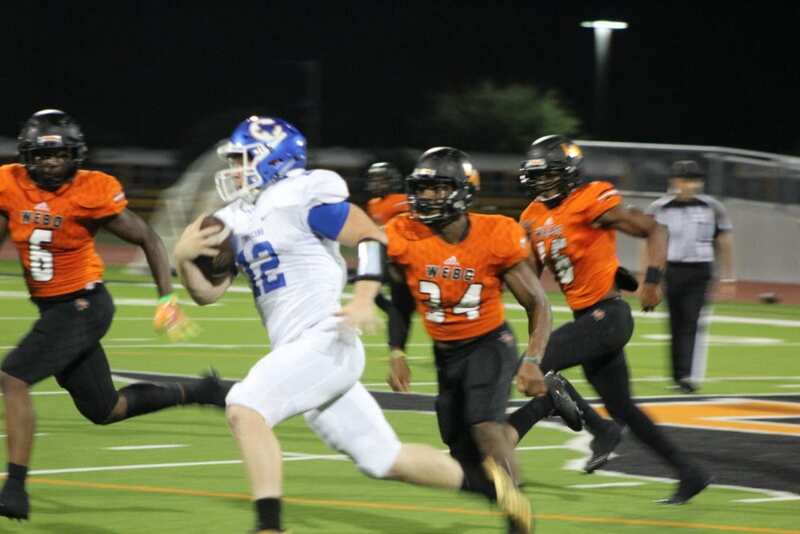 Coming out of the gate on fire Corsicana would actually get the scoring started first early in the first when quarterback Blake Hoffman would launch a 62 yard pass to Foster-Hooks. Scoring on the fourth play of the game, Foster-Hooks bolted free for a 60-yard touchdown run, leaving Lancaster in his wake. And just-like-that Corsicana led No. 12 Lancaster 7-0. They would kick a field goal after recovering a fumble on the ensuing kickoff to lead 10-0. Lancaster would answer right back when quarterback Trevor Hatton took it in himself from 8 yards. After a Corsicana 3 and out Lancaster would take the lead for good on another Trevor Hatton touchdown run this time from 5 yards out. Quarterback Trevor Hatton would finish with over 213 all purpose yards and 3 touchdowns. Running back Devante Lacy would add 172 yards rushing including a 98 yard scamper. Corsicana quarterback Blake Hoffman would rush for over 160 yards rushing and 2 touchdowns. The defeat dropped Corsicana’s record to 1-2. The win bumped Lancaster’s record up to 2-1. Good luck to both teams in their upcoming games! Lancaster will face off against Lake Ridge Friday at 7:30 PM. Meanwhile, Corsicana will look to defend its home turf against Marshall this Friday at 7:30 PM.